off orders of $179.00 or more! This coupon is worth $25.00 off your total order. Some exclusions apply, including gift vouchers and manufacturer restrictions. 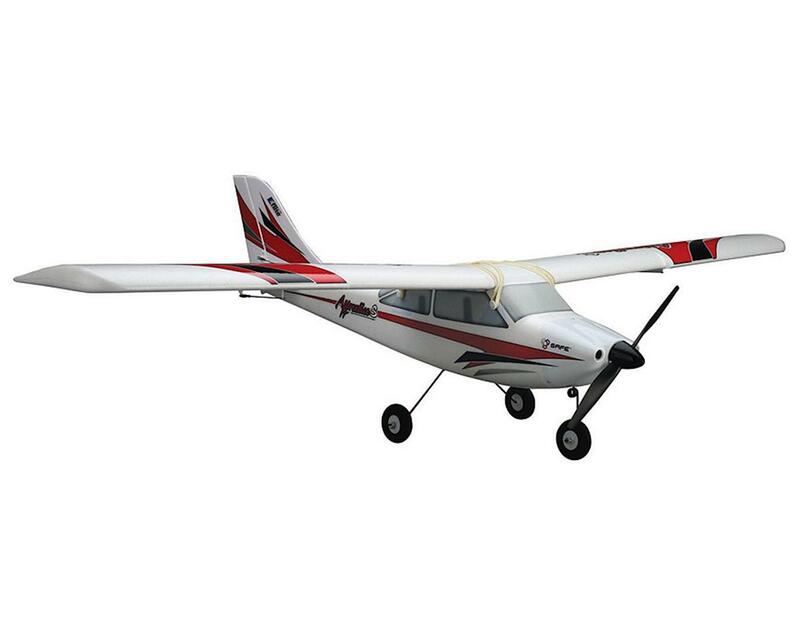 This is the E-flite Apprentice S 15e BNF Electric Airplane. 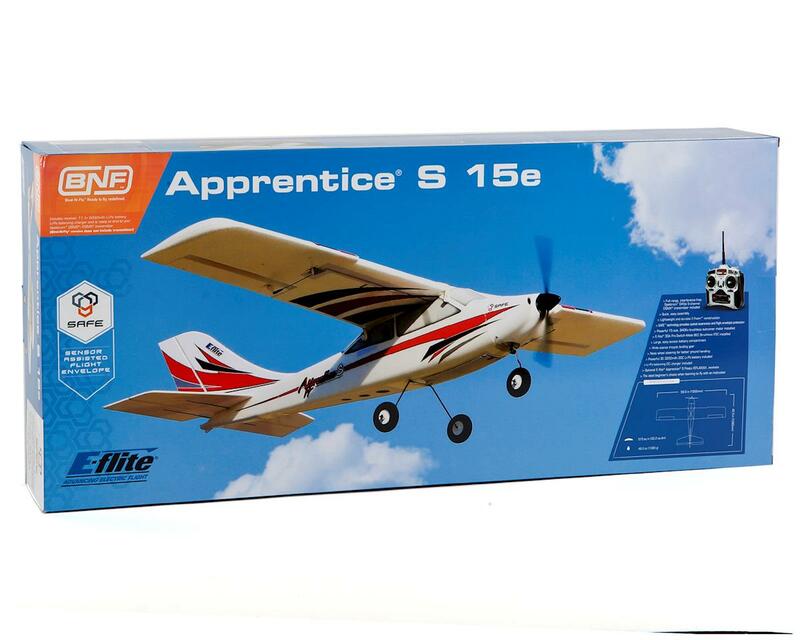 The E-flite Apprentice S 15e airplane is an exceptional trainer that’s a blast to fly. 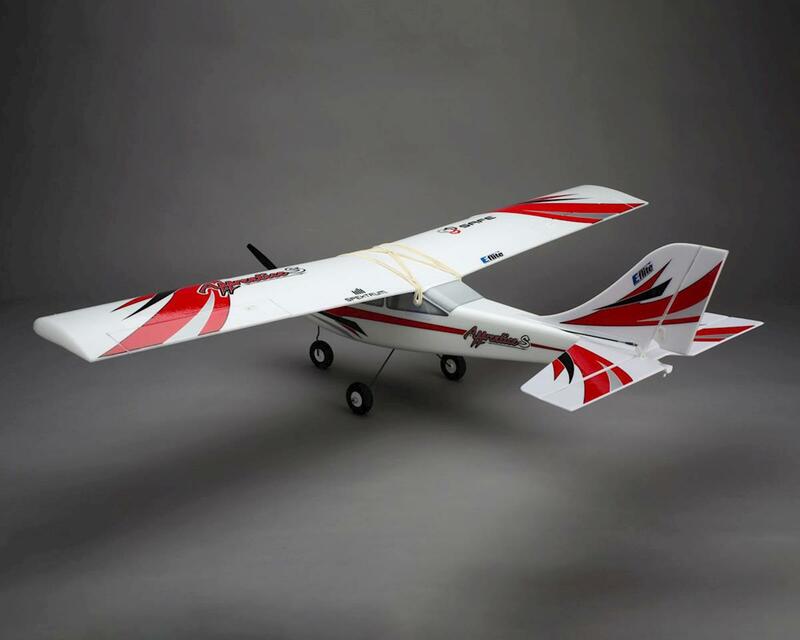 At its heart is groundbreaking SAFE (Sensor Assisted Flight Envelope) technology that makes RC flight incredibly easy, even for the least experienced user. Its combination of spatial awareness provides flight envelope protection which adds a degree of security never before available, while its smooth flight capability battles windy conditions so that all you feel is control that’s crisp and responsive. Multiple levels of flight envelope protection are provided that can be reduced or removed as your skills progress, yet the "panic" feature is always there to instantly return the model to level flight if you ever lose orientation. 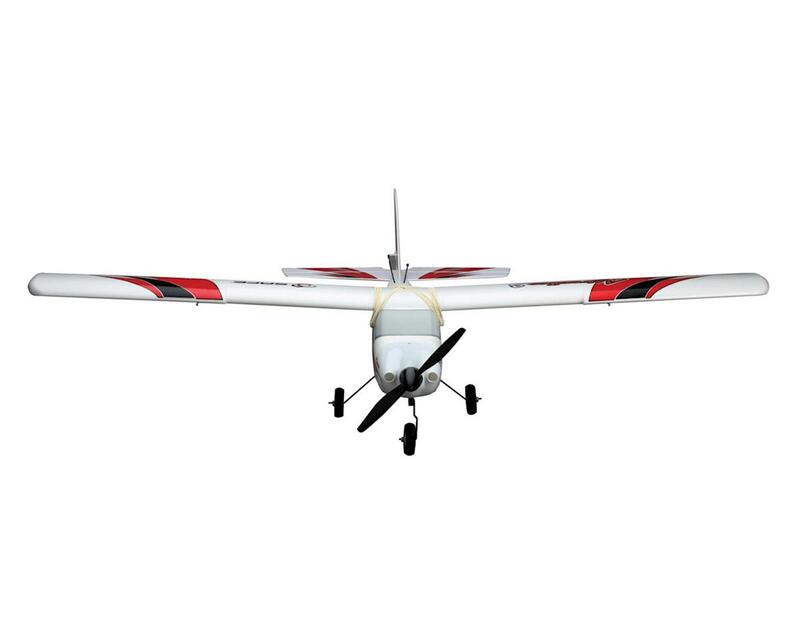 Requiring just minutes to assemble, you’ll appreciate how its quiet brushless power system delivers outstanding performance and long flights. Plus it’s built to last from lightweight Z-Foam material that’s tough enough to handle everyday flying punishment without getting bent out of shape. After you’ve mastered the basics of flight, the Apprentice S 15e is capable of performing a wide range of aerobatic maneuvers such as loops, rolls and even inverted flight. 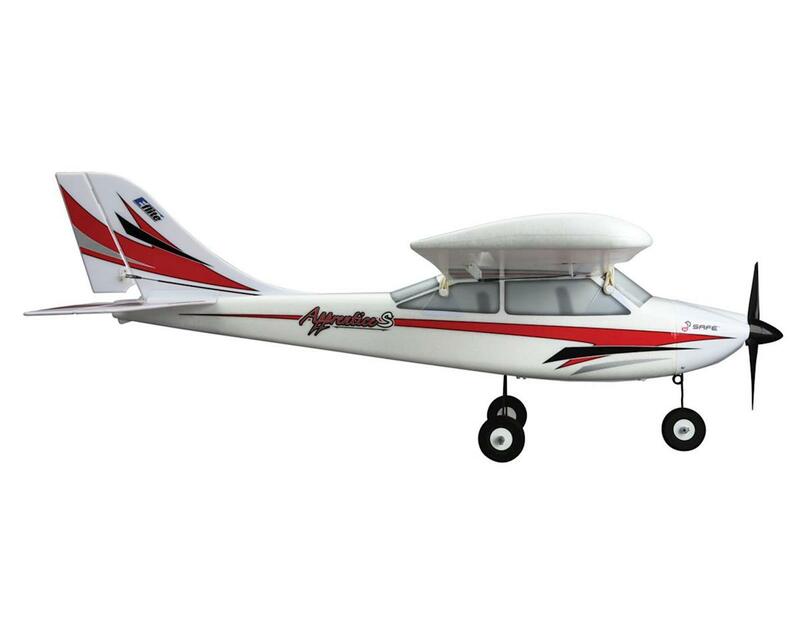 If that’s not tribute enough to its versatility, there’s even a specially designed E-flite Apprentice S Float Set (sold separately) you can add that turns the Apprentice S 15e into a great floatplane. 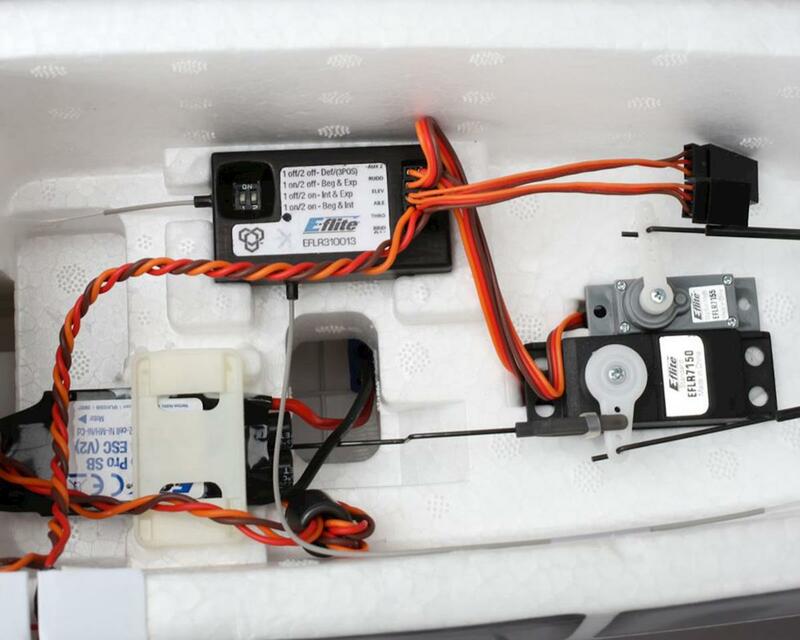 All you need to fly the Apprentice S 15e right away is a DSMX compatible transmitter like the Spektrum DX6. Besides ease of use, it offers virtually unlimited model memory and voice command/alerts for a level of control and safety that compliment the Apprentice S 15e perfectly. 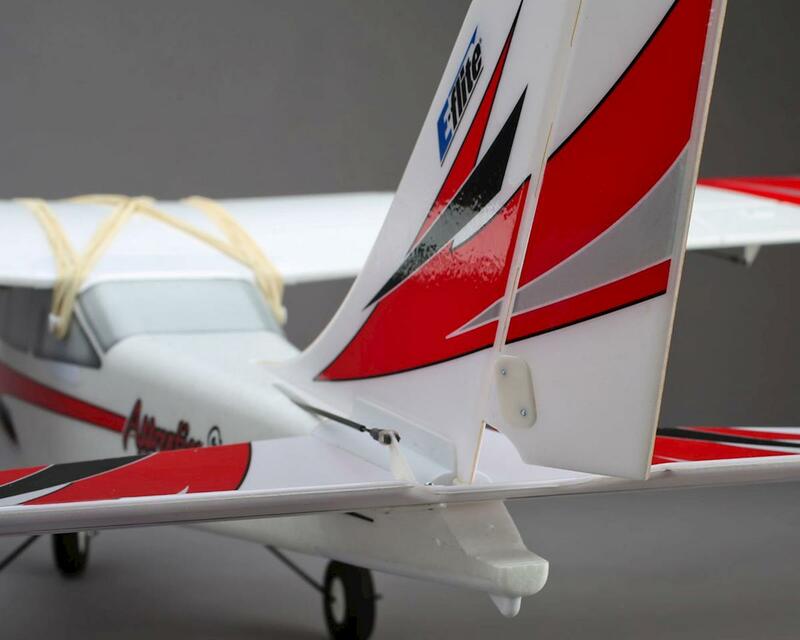 I have not owned an RC airplane for 25 years so I did some research and bought the E-flite Apprentice 15e. They only had one Apprentice left and it did not include a remote. I had to the buy the Spektrum DXe transmitter. When I took out to fly, the elevator would not go down. I was able to take off and do some flying but the elevator would not pitch the airplane down to land. I handed the transmitter to my more experienced friend at that point. He cut the power to the motor and just had the use the tail and go around in circle and it gradually descended for a landing. Good thing it was a wind free day in the morning when we flew! I took the airplane to Hobby Town and you need to reverse the AUX channel on the transmitter. Once that is done, the elevator will work and pitch the airplane down for a decent landing. I flew my plane a few days and my first landing was OK but I hit the propeller, and the motor shutdown and the plane made a loud beeping sound. I put the throttle in low and disarmed and rearmed the throttle. I flew my Apprentice four more times and I did four perfect landings in beginner mode. If other people buy this bind-N-fly and have another transmitter than the Spektrum DXe ask if you need to reverse the AUX channel or not. I am pleased with the the airplane but it should include a warning with the DXe transmitter that you should reverse the AUX channel. The best plane out there for pilots wanting to move up in size from their first trainer. Very sturdy and forgiving landing gear. Excellent product.